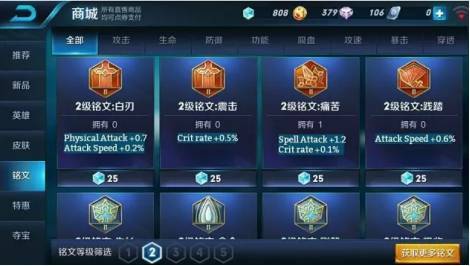 the latest method to learn Chinese,come to play the King of Glory ! It is not unusual for Chinese people to play the “King of glory", and I do not know when it began and even has became a wave of "King of glory" all over the country. On the subway, on the bus, in the school, in the office, you can see the many people playing this game. However, this may be just the beginning, and the popularity of the “king's glory” has even attracted high attention from the outside media of the game. But what surprised me most was that the foreigners had already fallen into it. Although the "king of glory" has a Vietnamese version, Thailand edition, European version and other overseas versions, but there is still a big wave of foreign fans still said: "I want to play the original version of the China!" 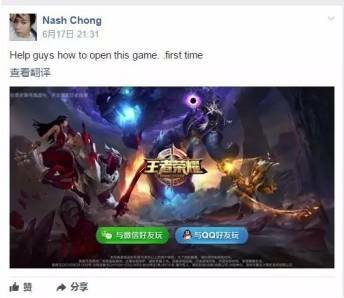 Thus, on Facebook, a group of overseas Chinese players was born. Like King glory - the Malaysia Mandarin gamer team,there are more than 80 thousand members. But compared with foreigners who know Chinese, these English speaking games play really hard and absolutely the true love. What? You don't understand? Well, guess it! version of the "king of glory". In this group, there is an amateur translator who is funny and crazy. have been asked at the very beginning. Please help me. How can I open the game? I played it for the first time. And someone asked which hero is much interesting,what are these heroes called? The netizen just follow the mood when he chooses a hero. 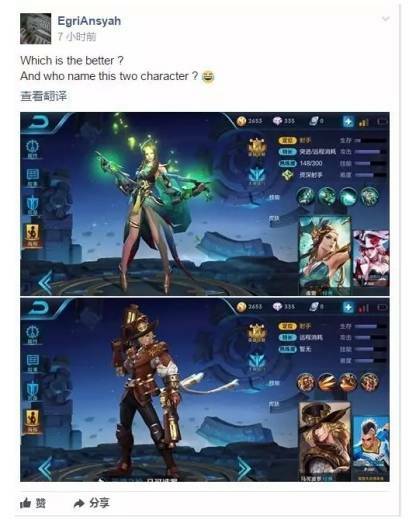 There are so many players who want to unlock Wu Zetian and even play Chinese with Zetianwu.But,they also lose the way,fortunately,enthusiastic netizens gave a lot of answers. 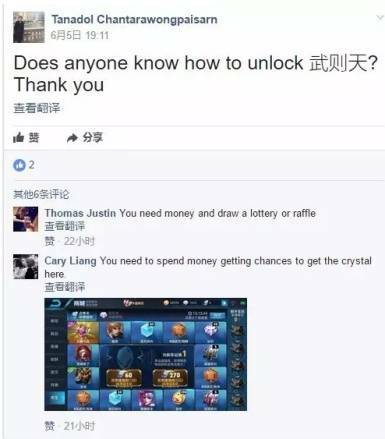 Lottery draw or buy crystal. The foreign friends who went collapsed and said: "Find ‘the King of glory‘in English quickly,please. Once,we played English games to collapse, now the foreigner players repeat it, that seems to reflect an output overseas with spontaneous cultural by a kind of domestic game. 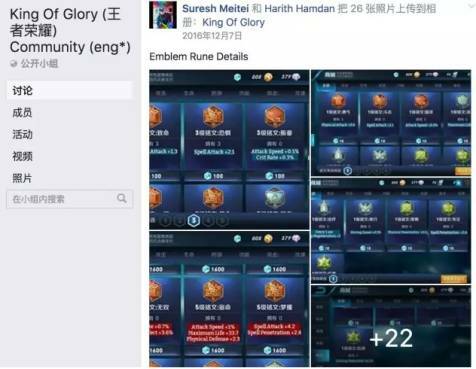 And in the overseas edition stick Reddit forum, there have been many foreign players request to organize a team to play the "King of glory". "Did anyone play the very popular mobile game in China the ‘King of glory ‘?" "This is one of the best mobile games I've ever played. I want to play with other English speaking players!" "This game is super popular in girls. I think it's very funny." The foreign game player talked to the poster the tragic history that he doesn’t understand Chinese.So he want to learn Chinese eagerly. The post replies: "I usually take screen shot and upload pictures to Google translate app." I can understand different inscriptions and equipment. It would be great to learn Chinese if you could do an encyclopedia!" The discuss has changed,and became a "curve wrecker(xueba)" research posts. 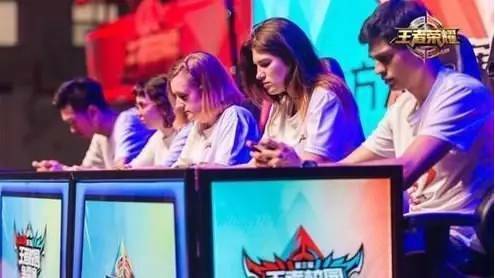 "A lot of people in our university are playing, even the girls, even the Curve Wrecker played the game.Then, "curve wrecker",this word got more attention by foreigners. Some people are curious to answer the question, "is ‘curve wrecker’ means the slang for ‘nerd’?" Then the Chinese netizen gave an accurate answer with passion. "curve wrecker" means someone who works hard and always gets good grades in school. It is a neutral term in most cases ,but in different contexts,it can be commendatory or derogatory. I don't think it's an offensive word. At the same time, " dumbass "for self deprecating. But if you say someone is a "slag", it is particularly offensive. These foreigners play king glory, can also get new ways to learning Chinese,and improved rapidly. 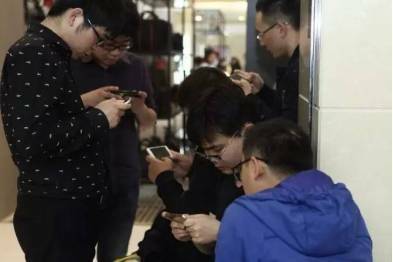 At the beginning of this year,the British financial times also report, and highlighted the "king of glory", analyzing the reasons of this popular game.In the Tencent's social platform, WeChat and QQ, there are hundreds of millions of users in China. Predictably, for a long time, play "king of glory" to learn chinese will maintain the popularity. At this time,the "king of glory" like the original "World of Warcraft", across the country's language barrier. Maybe someday, there will be embraced by a craze for admission of Chinese language class four. Mandarin Garden Education Group is a professional Chinese foreign language teaching institution. It is a platform for Chinese language & culture, communication, cross-cultural communication skills training and teacher training! Especially, to learn Chinese in mandaringarden,there are some Chinese games as funny as the "king of glory" .Do you want to have a try?